Picture being able to tackle Gadsden, AL’s streets in a stylish wagon that provides you with an impressive amount of cargo space and the ability to tackle a variety of driving situations. 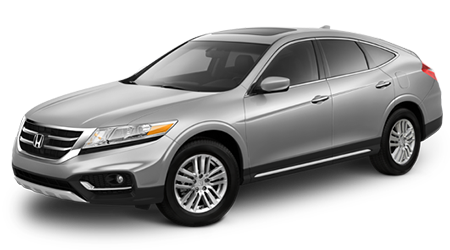 At Tameron Honda Gadsden in Gadsden, AL, we’re delighted to carry a large selection of Pre-Owned Honda Crosstour models in stock. We’re proud to be one of Alabama’s premier Honda dealerships and serve Jacksonville, Oxford, Anniston, and Lake Guntersville, AL. Come by Tameron Honda Gadsden today and explore a used Crosstour. If you’ve been searching for a pre-owned vehicle that will give you the confidence to be used on a regular basis, then a Certified Pre-Owned Crosstour is an amazing option. Every Certified Pre-Owned Honda has less than 85,000-miles on it and is less than six years old. Our group of certified technicians will complete a thorough 150-point inspection on the vehicle and change any required parts with authentic Honda components. Each Crosstour will also come with a CARFAX Vehicle History Report and a clean title, as well. To provide you with a confident vehicle, every Certified Pre-Owned Crosstour comes with an extensive warranty. Every vehicle is backed by a 7-yr./100,000-mile powertrain limited warranty and a Certified Used Car Limited Warranty that runs for 12-months/12,000-miles if the new Car Warranty is in effect. For additional coverage, every Certified Pre-Owned vehicle can come with a Honda Care Certified Additional Coverage Plan that increases the vehicle’s powertrain warranty to 8-yr./120,000-miles. To get you into a pre-owned Crosstour today, our dealership has an exceptional finance team. Our superb finance team will get you an outstanding rate on a vehicle that works for you. As one of the state’s top-ranked Honda dealerships, our staff will work with your credit score to secure an affordable loan that works for you. At Tameron Honda Gadsden, you’ll receive a hassle-free experience and get a loan that works for you. A Used Honda Crosstour has the same cargo capacity, spacious interior and versatility as a new model, but doesn’t have the new car price tag. Through Honda’s Pre-Owned Program, Jacksonville, Oxford, Anniston, and Lake Guntersville, AL motorists can get into a pre-owned Crosstour today. Visit Tameron Honda Gadsden in Gadsden, AL today and discover a pre-owned Crosstour today.